High Point University senior Emily De Lena stood up in front of Netflix co-founder Marc Randolph with a clicker in her hand, a screen behind her and passion in her heart. A passion for a product idea that she worked hard to build, a passion that she knew had potential and could go far. Emily De Lena pitches her business plan to Marc Randolph, co-founder of Netflix. But what was that next step? 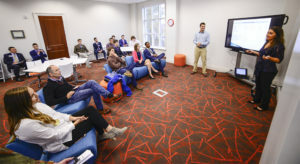 Her moment had finally come, the moment she felt ready for – the one High Point University offered her and several other student entrepreneurs at HPU to pitch their business ideas to the Silicon Valley leader and receive his honest feedback. Randolph nodded as she spoke. And when she finished, he gave her the key piece of advice that gave her that next step. “You need a prototype,” Randolph told her. She always wondered if her business was ready for a prototype, but having Randolph confirm that suspicion convinced her to take that next step and run with it, literally. 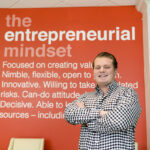 After graduating from HPU just a few weeks ago, De Lena has emerged into the workforce as a full-time entrepreneur. The idea for De Lena’s product, the Track Rabbit, began her freshman year. The young track star felt that she wasn’t improving her performance. She wanted a running buddy with whom she could train, someone that would push her and help to improve her running times. De Lena tests out the prototype of the Track Rabbit. That’s when she came up with the Track Rabbit, a device that would allow a runner to follow an LED light system around a track in order to know what time or distance they have to beat. De Lena knew this idea could go far, but she needed the funds to get her feet off the ground. 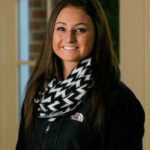 That’s when she began networking and competing in different competitions at HPU. She was selected as the second place winner and awarded $5,000 at the 2015 Business Plan Competition. 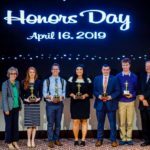 She also received funding at the Elevator Pitch Competition, where 17 teams of HPU students were given two minutes to pitch their business ideas to four judges and compete for cash prizes. At these competitions, De Lena learned how to pitch to investors and will bring those skills with her throughout her career. She didn’t know it at the time, but her pitch at the HPU Elevator Pitch Competition would give the Track Rabbit its start. 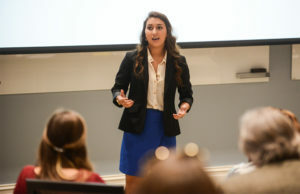 De Lena competes in HPU’s Elevator Pitch Competition. 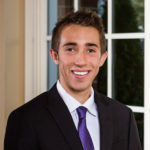 One of the judges at the competition was Eric Hill, chief operating officer and co-founder of BioRx in High Point. Hill was impressed with De Lena’s business plan, and though he had never funded a startup project, he had a good feeling about her invention. After discussing the ins and outs of De Lena’s product, Hill decided that he wanted to provide not only full support, but funds for the first year of operation for the Track Rabbit. 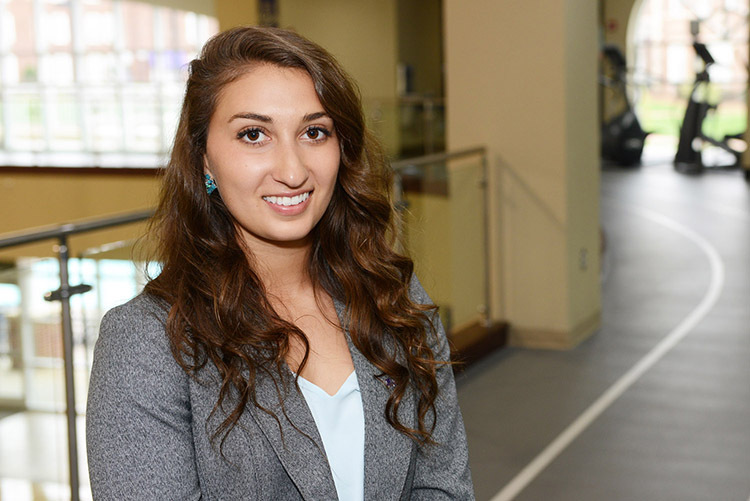 De Lena is an example of the students thriving in HPU’s Belk Center for Entrepreneurship that opened in the fall. Today, De Lena and her brother Andrew, the techie behind the project, are finishing the technical portion of the design so they can receive approval for the product from the NCAA, USA Track and Field and the International Association of Athletics Federations. Afterward, they will begin looking for a school to host a full-scale prototype of the Track Rabbit for testing. “It still has a few kinks that need to be worked out, but it is very promising,” says De Lena. 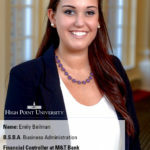 As De Lena reminisces on her time at HPU and the opportunities the university has provided her, she is brought back to when she first stepped onto High Point University’s campus with her parents on a college road trip during high school.